Cut the cord and game freely with Corsair’s new wireless peripherals. 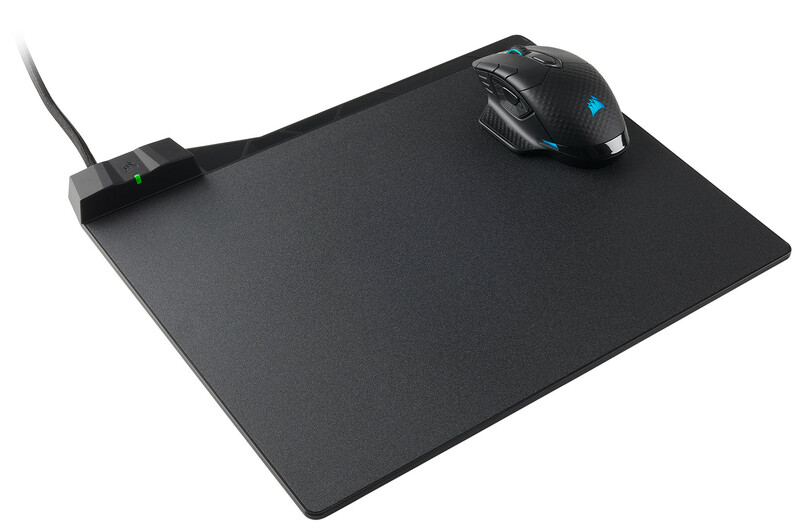 The K63 Wireless Mechanical Keyboard and the K63 Wireless Gaming Lapboard are currently available for purchase, while the Dark Core RGB Wireless Gaming Mouse and MM1000 Qi Wireless Charging Mouse Pad won’t hit the market until later this month. While we personally prefer wired peripherals for our PC gaming needs, we can’t deny how sleek Corsair’s new Unplug and Play line looks. Aside from being visually appealing, Corsair’s wireless peripherals have some impressive specs. 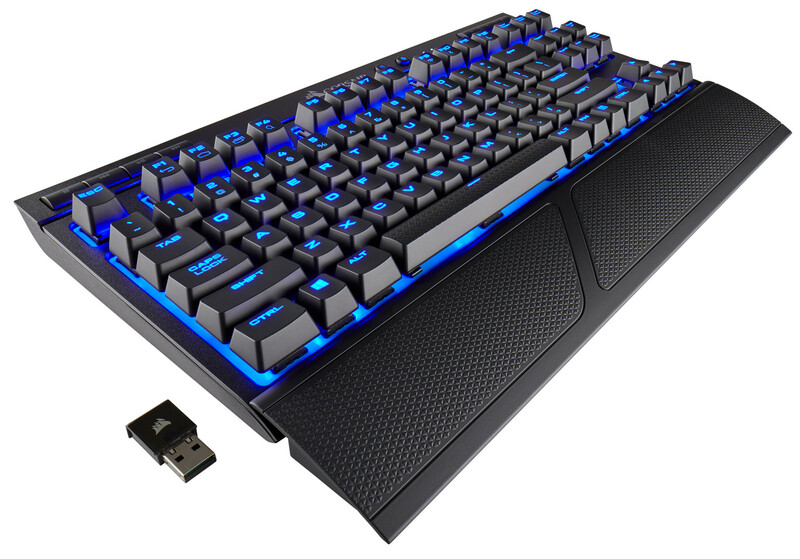 For example, the K63 Wireless Mechanical Keyboard sports Cherry MX Red switches, per-key LED backlighting, programmable keys, and a battery life of up to 75 hours. Additionally, the keyboard has three different connection options (1ms 2.4Ghz wireless, Bluetooth wireless, wired USB) for added versatility. Right now, the K63 Keyboard will set you back $109.99, while the K63 Lapboard will set you back $159.99. For those in the market for a new gaming mouse, the Dark Core RGB is definitely one to keep on your radar. Sporting a 16,000 DPI optical sensor, you’ll be able to enjoy quick response time. It also boasts the same three connection options as the K63 Keyboard, which helps if you plan on buying both the mouse and keyboard for wireless gaming. While the battery life of the Dark Core RGB is less than the K63 Keyboard—only hitting up to 24 hours before needing to be recharged—it’s nice that you have the option of snagging the MM1000 Mousepad. This is because the mousepad will not only juice up your new mouse, it’ll also charge any device that supports Qi charging. Corsair has yet to announce prices for the Dark Core RGB and the MM1000 Mousepad. As such, be sure to check back later this month for more information. In the meantime, what do you think of Corsair’s entry into the wireless peripheral market? Are you planning to purchase any of the items listed above? Let us know down in the comments below!